The Hitachi DK-Z50 Multi-Format HDTV/SD Box Camera Package features a Fujifilm eXceed Series XA20sX8.5BMD Standard Remote Control Lens. 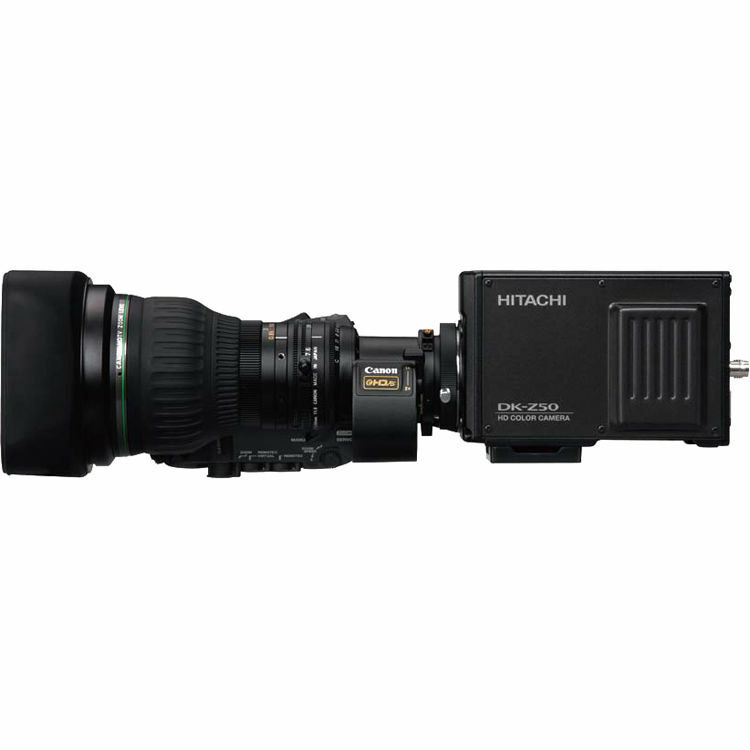 The DK-Z50 Multi-Format HDTV/SD Box Camera from Hitachi features 2/3" CCD with a spatial-offset processing technologies that provides a horizontal resolution performance of 800 TVL (luminance channel). This camera offers sharp and clean HD images, thanks to its 14-bit A/D converters and the digital processing technology. It achieves high sensitivity and a low vertical smear specifications. High dynamic range and color fidelity can be achieved by employing 14-bit analog-to-digital converters on the RGB CCDs' outputs. The Fujifilm eXceed Series 8.5-170mm f/1.8-2.7 Standard Remote Control Lens is a 20x zoom lens for 2/3" cameras. The lens features macro and Innerfocus with 20x zoom ratio.